Head out to Groote Post on Sunday, October 28, for what promises to be a day of family fun and relaxation at their idyllic Country Market, nestled in the hills around the beautiful town of Darling. For the fit and active, be there early and take part in Groote Post’s annual Country Run. At the Market you will be spoilt for choice with 60 stalls showcasing all manner of country offerings: various arts, crafts, homeware and décor; gourmet eats galore; craft beer and cider; and not to forget Groote Post’s popular wines. 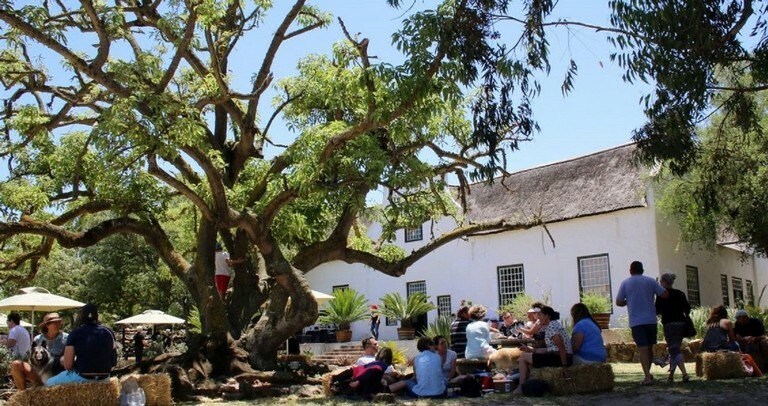 Local is always lekker at Groote Post, with a selection of Darling gourmet produce, including Weskus Worswa, Darling Honey, Darling Olives, Darling Brew and more. After browsing through the market, relax on the beautiful lawns under the trees tucking into delicious eats from the market and enjoying the music and entertainment provided by DJ Andre. The little ones, as always, will be kept busy with a wide variety of kiddies’ activities: tractor rides, Zorb balls, guided horse rides and, of course, the popular playground. The Three Market Lucky Draws will take place at 12.30pm, 1.30pm and 2.30pm, the winners each receiving a hamper with products from the market and Groote Post wine, but you must be present at the draw to win. Registration opens at 6am and the first runners head off at 7am. Coffee and breakfast will be on offer as well as a secure, supervised Kid-Zone where runners can leave their little ones in the care of experienced child-minders. The finish line is always a welcome sight as the festive atmosphere of the market greets you on your return. There are shower facilities for those wanting to freshen up before taking on the market and relaxing into an easy summer afternoon. * Entry to the Groote Post Country Market is free of charge.